Dr. Harvey Kwiyani is a professor of African Christianity and Theology at Liverpool Hope University in the United Kingdom. Originally from Malawi, Harvey received his PhD in Theology from Luther Seminary in St. Paul, MN where I frist met him. He is the author of Sent Forth: African Missionary Work in the West. He is also the founder of Missio Africanus, a new initiative designed to train global Christians living in the west to engage thoughtfully in mission and navigate cross-cultural barriers. Harvey has become a thought leader on reverse mission in which global Christians from the two-thirds world are living intentionally and missionaly in Europe and North America in hope of revitalizing Western Christianity. I’m personally excited about the conversation because Harvey has been a personal friend for many years and is one the first African friends to help me understand the world of African theology and spirituality. Over lunch one day he told me about the Bantu philosophy of Ubuntu and I ran home so excited to write a blog post on the connections between the humanizing tradition of Ubuntu and the work of making disciples of Jesus. Harvey and I have spent time together on 3 continents and I have grown to appreciate him as a fresh voice in the global conversation on global theology and mission. Part 1:1 “Strengthen Your Heart to Believe” series. Welcome to the 1st Live Post. This last week a group of 16 of us were able to connect together though life giving humor, and prayer, filling the air with joy and depth. We heard the heart of what we will be journeying through in the latest Bloom group (Senoia). We will be learning to align our hearts with what God says, rearranging aspects of our lives to begin standing on His words in faith, risking all to believe we are who God says we are. As we stilled ourselves before God and each other, we entered into a rhythm of breathing in the presence of God, breathing Him in and all else out. In our minds, with each breath in, we named our specific areas of need as we took Him in. Stillness, intimacy, comfort, truth, cleansing, mercy, grace etc. Next, we breathed all else out. We named in our minds the guilt, darkness, doubt, anxiety, anger, striving etc, as it left with our very breath. Through this alone, we would have left transformed, but we went on, laughing and crying, sharing stories, and as we did, I felt us being knit together. I felt life beginning to grow. Somewhere between breathing, and being, we started to become. In hearing the beautiful vision of our upcoming journey together, I was flooded with images of the woman who had the issue of blood. The one who so bravely grabbed ahold of the hem of Jeshua’s garment, knowing if He was the promised one, there would be healing in His wings. I can only imagine the desperation and faith that would fasten her gaze on Him with such purpose, flinging her towards such a bold and venturesome act. So fervently and courageously she pushed through the crowds of shame, terror, circumstance. She let go of what she was by law and culture, pushing against what she was told she was destined for, determined to crawl forward with everything she had, to grab ahold of the promises she heard, trusting, pushing herself into the most vulnerable of places, in the face of all that was coming against her, believing that if He was who He was said to be, He was worth the risk. She put more faith in Him, in His ability, in His words, in His promises, than everything else she had known. She dared to enter into an unknown world of faith, grabbing ahold of the promise, of what she chose to believe Him to be, and by so doing, she became who she was. I am beginning to realize, as we step out onto His words, they are the one thing we can depend on. ”All other ground is sinking sand.” He is the only thing worth clinging to. I hope to have the same courage, steadfast on the hope of glory, and for each of us, together, to run to the feet of Jesus, and cling to Him. Looking forward to a grand adventure in Bloom’s “Strengthen your heart to BELIEVE” Group. Scientists marvel at the inter-connected nature of all living organisms. Though many stubbornly refuse to recognize the fingerprints of God in creation, they still speak in awe of the complex design of things they observe and refer to the delicate balance of nature. Because we are complex beings, understanding spiritual growth demands that we understand many components of our lives. 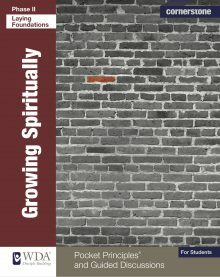 To attain spiritual maturity the believer must grow in at least two dimensions of the Christian life— equipping and restoring. The equipping dimension prepares the believer to serve others on behalf of Jesus, in effect, to carry on His work, while the restoring dimension addresses a person’s emotional and relational health. 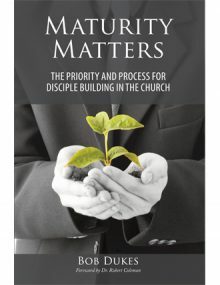 Historically, the church has focused primarily on the equipping dimension of the believer’s life and has not always recognized the need to minister to the whole person. This limited perspective of the church’s calling is a tragic misunderstanding that has hindered not only the growth of individual believers but also the ability of the church to impact the world for Christ. From our experience, we have concluded that healthy spiritual growth is most likely to occur when both dimensions (equipping and restoring) are addressed. Paul’s prayer for these believers provides insight into the dynamics of spiritual growth. The more we grow in spiritual wisdom, the more we will live pleasing to God, doing the good things He desires us to do. This action leads to a greater knowledge of God and more spiritual wisdom. And so the circle of growth continues. The knowledge of God that Paul writes about is interactive and experiential, not just an accumulation of information. An example will help make this point. A person can study the sport of scuba diving, can watch others scuba dive, and can even speak intelligently about scuba diving, but until he actually puts on the equipment and dives into the water, he is not a scuba diver. Similarly, many people who know much about what the Bible teaches, have not embraced the teachings of Scripture as truth in their hearts and put it into action. They may know about God, but they do not know God. In addition, to grow spiritually, a believer needs to interact with other believers in a local church body. Paul in I Corinthians 12 makes it clear that believers, as members of the Body of Christ, are inter-dependent on each other. They are to express this inter-dependence by showing love for each other, learning from each other and praying for one another. This interaction with other believers can significantly impact the spiritual growth as the young believer is encouraged and provided with real-life models of the Christian life. Another area that influences spiritual growth is the specific content of a believer’s learning. 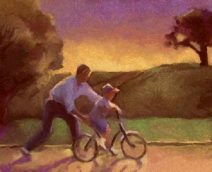 The early focus of learning needs to be centered on such subjects as God’s character, who Jesus is, and how to walk with Jesus daily. These topics are necessary for a healthy relationship with God and a strong foundation for further growth. As we grasp a basic knowledge of who God is, we learn how to please Him, and follow His leading. We gain this knowledge through daily interaction with God in the circumstances of life. As mentioned above, the point of acquiring knowledge is so that it can be put into action. One of the ways we act on our knowledge of God is to minister to others or, as Paul puts it, “bearing fruit in every good work.” (Colossians 1:10) In the early phases of the Christian’s walk, his focus needs to be meeting the practical needs of others (e.g. arranging transportation, cooking meals, etc.). We see this principle in the way Jesus taught His followers how to minister. When His disciples were new believers, Jesus gave them practical responsibilities such as dispensing food, providing transportation, controlling the crowds, and bringing their friends to learn about Him. As believers grow spiritually, God often increases their ministry abilities and opportunities. This pattern is clearly seen in how Jesus trained His disciples. Although He began with giving them simple acts of service to perform, He gradually increased their responsibilities. He sent them out on their own to minister and gave them positions of leadership within the larger band of followers. A further area of equipping is growth in our willingness and ability to exercise faith and trust in Christ. Growth in faith means growing in strength of conviction and quickness to obey. Simply put, it means putting into action what we believe to be true. In fact, the putting into action is the proof that we truly do believe something to be so. The point of acquiring knowledge is so that it can be put into action. 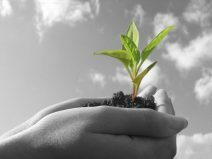 Growth in trust means applying our faith in more and more areas. It is one thing to recognize Christ as our only way of salvation and place our trust in Him as Savior. It is quite another to begin to trust Him in all areas of our lives. After all, we have grown up learning to be independent and to trust in ourselves—our knowledge, our abilities, and so on. However, as the writer of Proverbs reminds us, we need to trust in the Lord with all our hearts and not lean on our own understanding (Proverbs 3:5). Admittedly, this is hard to do. 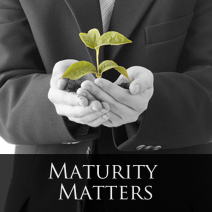 But it is an important part of the maturing process. God, in His wisdom and providence, continues to bring circumstances into our lives that give us opportunities to trust Him and expand our faith. As we encounter these circumstances, God provides the resources to deal with them, as we take a risk and trust Him. It seems that God sometimes gets us into tough situations just so we can learn to trust Him. The Bible certainly provides enough examples, whether it be Abraham standing over Isaac on the altar, the Israelites huddled on the banks of the Red Sea with the Egyptians in fierce pursuit, Daniel and his friends in the fiery furnace, Jesus’ disciples fighting a raging storm on the Sea of Galilee, or any number of other events. One of the most important things that every Christian must learn is that God can be trusted, regardless of circumstances that would make it appear otherwise. To really know God in this personal, real way, a believer must interact daily with Him and His Word and put the Truth into action. As was mentioned earlier, it is critical that we also give attention to the restoring dimension of a believer’s life as well as the equipping dimension. Spiritual growth will not occur in many areas unless there is maturity in the restorative areas discussed below. We need to develop emotional health. Developing emotional health begins with learning to think correctly because emotions are a natural response to our thinking about, or interpretation of, the things that happen around us or to us. Thinking correctly involves both what we think (content) and how we think (process). Incorrect thinking is often based on an incorrect or inadequate view of ourselves, of others, or of God. These viewpoints or perspectives are largely formed in childhood and are influenced by the people and events closest to us. It is critical that we learn to counter falsehood with truth. Consider the following example: A student receives a “B” on a test instead of the expected “A” and feels worthless. The “worthless” feeling is the content of his thinking. He arrived at this content, or conclusion, by the following thought process (beliefs that led to the student’s conclusion). First, “I must always be perfect in order to be valuable.” Second, “I made a mistake, and therefore I am not perfect.” Third, “Therefore, I am not valuable. I am worthless.” Both the content and the process need to be corrected. The key is to be able to identify where one’s thinking goes wrong or, to put it another way, to identify which proposition is not true. In the example above, the second phrase is true (he did make mistakes; he is not perfect), while the first and third are not. The student’s thought process starts on a false premise and inevitably ends with a false conclusion. Along with learning to develop right thinking, we need to develop certain emotional skills if we are to achieve emotional health. These skills include learning to process emotions in the present and learning to process emotions that have been buried. …emotions are a natural response to our thinking about, or interpretations of, the things that happen around us or to us. We learn to process emotions in the present by being able to identify how we feel and express those feelings, even if they are unpleasant. It is often helpful to talk about your emotions with a trusted friend. Use words that describe how you feel. Say, “I feel . . . angry, sad, anxious, confused, embarrassed, secure, happy, relieved, daring.” Be as specific as you can and don’t use a “weaker” or “safer” word when a “stronger” one is appropriate. If someone has offended you, you may need to talk about your emotions in a controlled way with that person. Once you have processed your emotions, you need to release those that are negative. This release may mean choosing to forgive, if someone has offended or wronged you. We need to develop relational health. Developing emotional health rightly precedes a discussion of developing relational health, because relational health is impossible for a person who has not achieved at least some measure of personal emotional health. In order to be able to relate to another person in a mature, healthy way, you must first understand and be able to manage your own emotions. Or, to put it another way, until you are comfortable in your own skin, you are unlikely to feel comfortable around other people or unlikely to make them feel comfortable around you. Developing intimacy. Intimacy is the ability to connect with another person at a deep level. This involves sharing thoughts and feelings about yourself. Setting boundaries. Boundaries are limits, or markers, that define a person as separate from others and help define what is unique about that person. Boundaries define what a person is, what he chooses, what he feels, what he likes, what he wants, and so on. A person needs to set his own boundaries and not allow others to set them for him. Developing good communication skills. These skills include speaking clearly, listening carefully, and giving constructive feedback. Read Psalm 73. List the emotions described by the Psalmist. Describe how the Psalmist dealt with his emotions in this Psalm. Read Matthew 12:9-15. How is Jesus’ ability to set boundaries tested in this situation? Read John 2:1-11. How do you think this situation impacted the growth of the disciples? Think of a situation in your life that is impacting your spiritual growth. Write down evidences of growth that are occurring because of this situation.